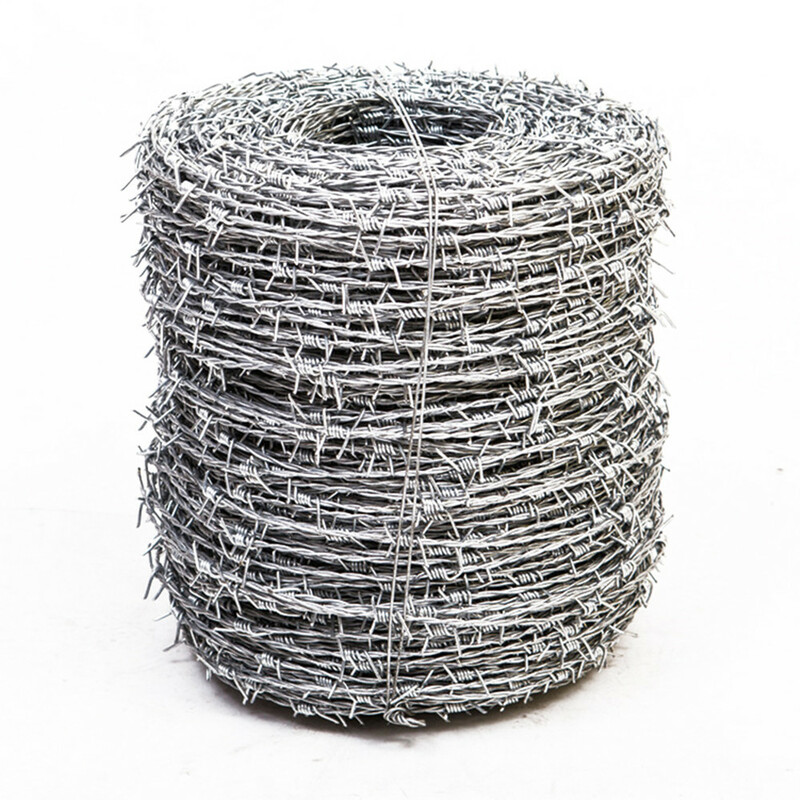 Product categories of Barbed Wire, we are specialized manufacturers from China, Barbed Wire, Hot Dipped Barbed Wire suppliers/factory, wholesale high-quality products of Pvc Coated Barbed Wire R & D and manufacturing, we have the perfect after-sales service and technical support. Look forward to your cooperation! The Barbed Wire is twisted and knitted by a fully automated barbed wire machine. The folk are commonly known as shovels, barbed wire, and barbed wire. Finished product type: Single wire twisted and double wire twisted. Raw materials: high-quality low-carbon steel wire. Surface treatment process: electro-galvanized, hot-dip galvanized, plastic coated, sprayed. There are blue, green, yellow and Other colors. Used for grassland boundary, railway, highway and other isolation protection.